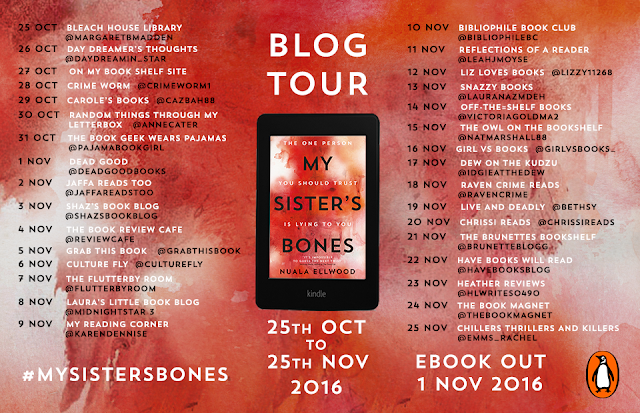 Today brings my stop on the epic blog tour for My Sister's Bones by Nuala Elwood. I am thrilled to be able to share my review for this brilliant thriller. 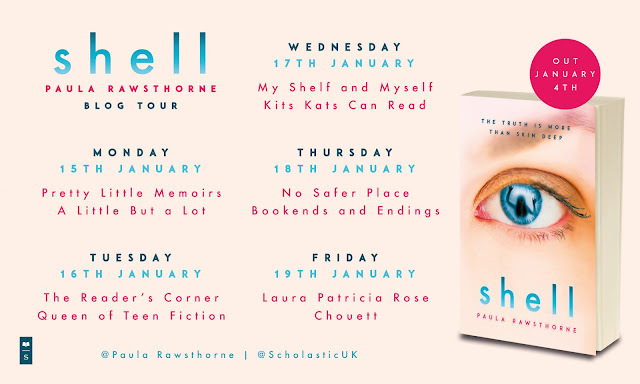 If you need more convincing as to why you should read this, check out the other stops on the tour. Since I started my book blog three years ago, I have read a lot of thrillers and I mean a lot. The more I read, I think the harder the author has to work for me not to guess the twist before the end, and even harder for me not even get a hint of what it could be. This is why My Sister's Bones is so completely brilliant, as I did not even catch a breath of what was going to happen. Despite reading a great many thrillers, it never fails to hook me in by having a teasing prologue as to what is to come and My Sister's Bones could not have had me more hooked. This book has you literally desperate to keep on reading. I found myself almost reading in a frenzy in places as I just had to find out more. 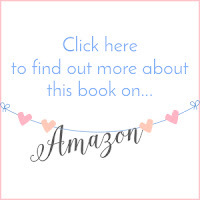 There was a definite raw edge to this story, not because of the of the constant unsettling atmosphere surrounding the book, but the characters themselves. Being a war reporter, Kate has seen every kind of horror and it has definitely taken its toll on Kate mentally. 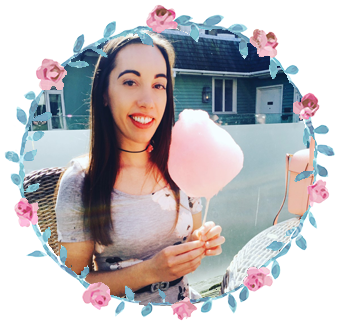 Her childhood was an extremely unhappy one and now her Mother has gone she is back to sort out the house where few happy memories lie and an alcoholic sister, who doesn't want anything to do with her. On Kate's first night there she hears a terrifying scream, but is it just a nightmare or is it real? The synopsis for the book gives little more away than that, so I won't spoil it and say anything more about how Nuala Elwood pieced this fantastic story together. It is a book that leaves you constantly wanting more and desperate to pick it back up at every opportunity. It's safe to say that I read this very quickly. I literally could not have seen the twist coming, there was not even a hint of it from the author, it came out of no where and my jaw just dropped. This is what has made this thriller so great for me and it completely pulls the wool over your eyes, there is no room for guesswork. Very dark, raw and incredibly intense, My Sister's Bones has been one of my favourite thrillers this year!